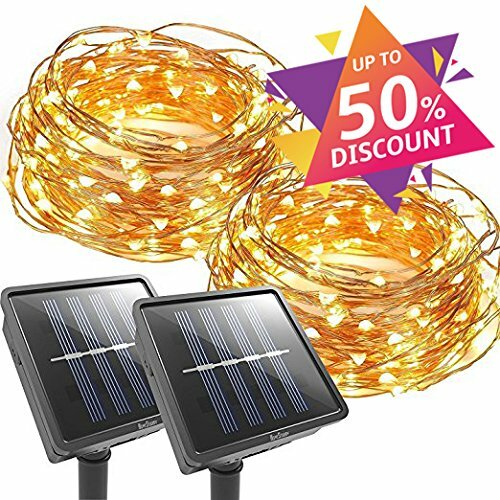 For this post, I have put together a collection of the best solar string lights currently available. 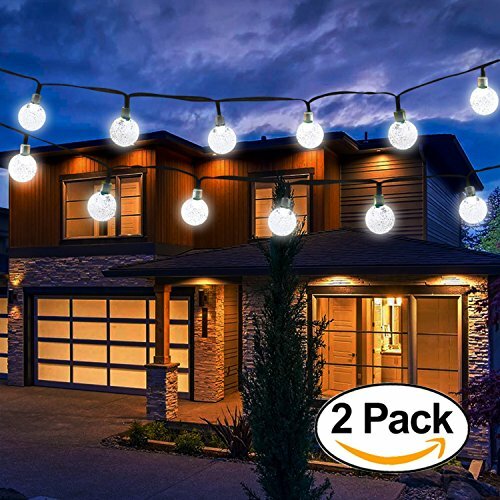 Give your home and garden an attractive look that everyone will admire with these eco-friendly, beautiful lights. Skip the higher electricity bills. 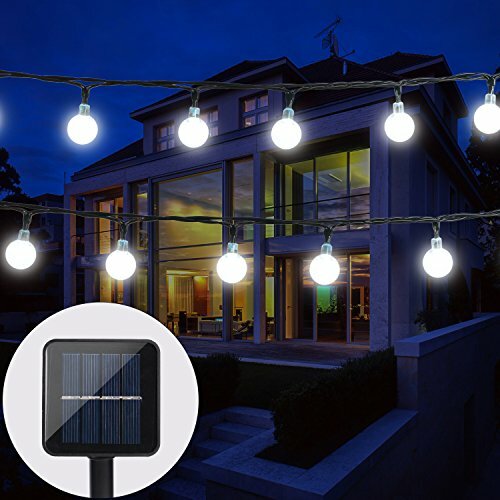 During the day, the solar panel converts the sunlight into electrical energy stored in the rechargeable battery, then the string lights will automatically light up at night. These string lights are a great decorative accessory to illuminate indoor and outdoor spaces, at home or work. Easily wrap the lights around trees, branches, shrubbery, furniture, and home/office signs. 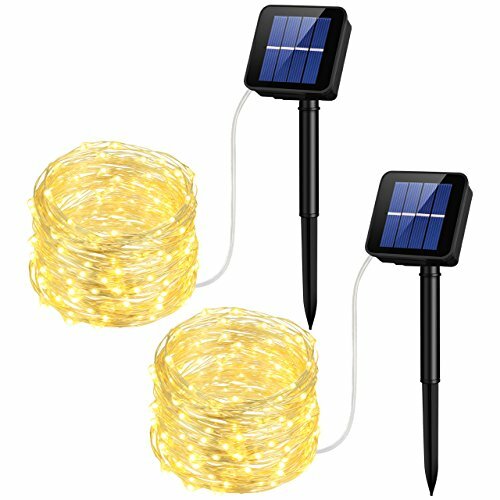 The following solar string lights will help take your everyday backyard or special event to the next level. 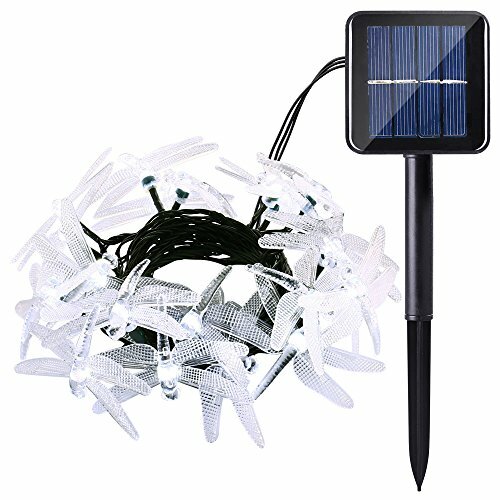 So here is my list of The 10 Best Solar String Lights. Extra-long cable provides lighting and decorative effect over and across expansive outdoor areas of your home or outdoors. 200 soft-light bulbs are arranged on 72 ft (22m) cable. 1800mAH (Ni-MH) lithium battery activates the solar charge, which is enough for 8 hours of lighting. No electric current required to operate the unit. Works in rainy weather (waterproof certification number IP65). Auto on-off button reacts to ambient lighting, thus saving energy when surrounding light is too bright. Bi-mode button offers ‘steady’ and ‘twinkling’ options. Long-lasting with a 10,000 hour lifespan. 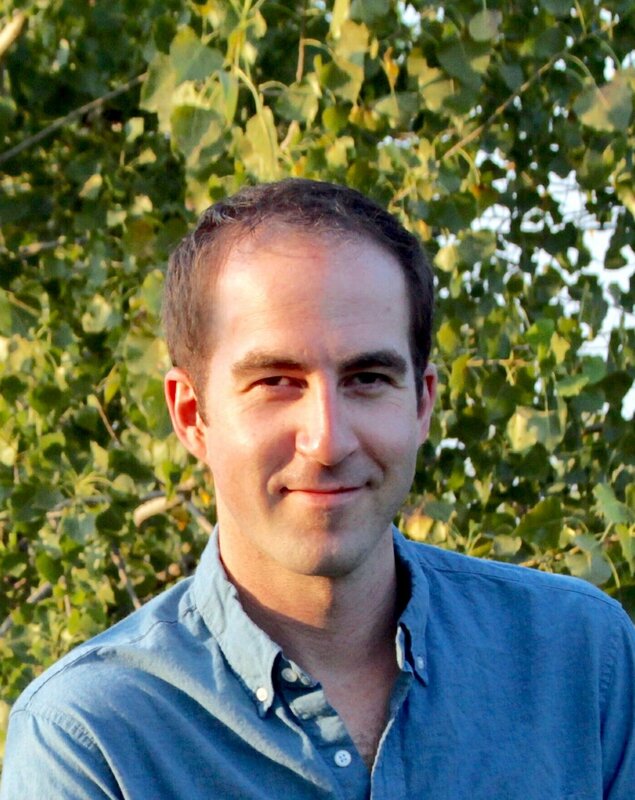 Extra long lead wire provides flexibility when positioning the solar panel optimize sunshine. Lights up automatically saving time and reducing energy costs. Solar-powered, so you can enjoy the lights at night for free. 10 hours working time if it is fully charged. Copper string light is flexible and can be mold into any shape. Coated with golden lacquer which makes the whole strand water-resistant. Specifically designed to withstand all weather conditions. Rechargeable battery can work continuously for 8-10 hours once fully charged. 5 ft lead and 20 ft wire with 30 bubble globes. Waterproof to suit for using outdoor and indoor. 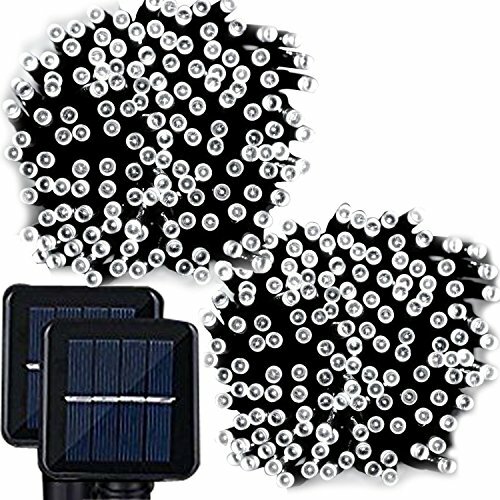 These LED lights decorate your garden with energy from the solar and do not require additional cost. Turn on automatically in darkness and off automatically in brightness. Power and mode control buttons on the back of panel box. Solar panel (2V/100mA) with built-in 600mA NI-MH battery. Solar panel convert sunshine into electricity during the day, and it lights up automatically at night for over 8 hours. IP65 Waterproof: Can withstand all kinds of weather, including heavy rain and snow. Perfect for indoor and outdoor decoration. 100 super brilliant LED's glow a warm white light, which makes every night a starry night. 8 working modes: combination, fireflies, waves, fading, chasing, fading slowly, twinkle and steady on. 33ft ultra-thin and high quality bendable copper wire, the string lights conform to any shape you want. Powered by solar energy, works up to 10 hours after fully charged. Lights up automatically at night and off during the day. 30 LEDs arranged 8 inches apart on a long 20 ft cable. Waterproof so you can use even in the rain. Powered by a 1.2V 1000mAh battery that lasts up to 10 hours on a full solar charge. POWER on-off switch and a mode switch that has STEADY and FLASHING options. The unit also features LIGHT-SENSITIVE FUNCTION, shutting off automatically when ambient light is 15lux or higher brightness. Lights have a long lifespan of 5000 hours. Built-in 800mah rechargeable battery can work continuously for 8-10 hours once fully charged. 5 ft lead and 15 ft wire with 30 bubble globes. Two working modes: steady on and flashing. Durable, waterproof LED lights and solar panel. Long lasting LED lights powered by a solar panel. Solar panel charges with direct sunlight during the day and the bulbs light up automatically at night for 8 hours. 8 modes to choose different light effects. 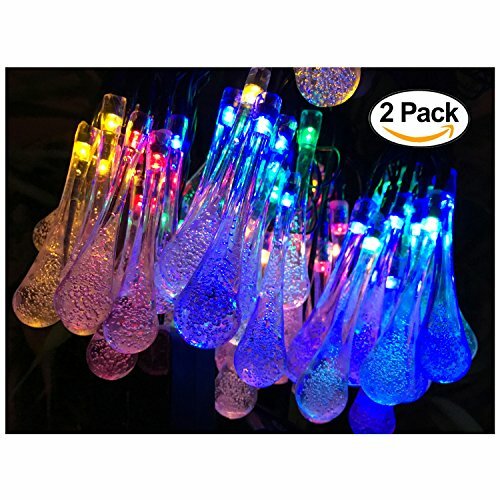 Waterproof, suitable for indoor and outdoor decorations. 100 super bright LED bulbs on 33 ft high quality copper wire. Steady 360 degree viewing angle, illuminates in every direction. Auto on at dusk, auto off by day. 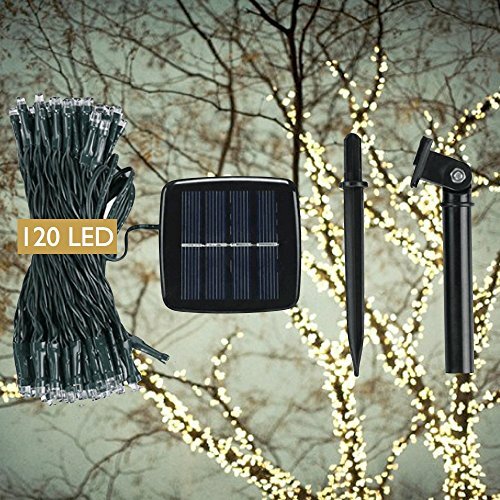 Water Resistant, both the string lights and the solar panel are IP65 Waterproof. Flexible copper wiring can easily build any shapes you want. Wrap around tree trunks or gazebos; in the dark, the wire fades to being almost invisible, leaving only the bright lights. 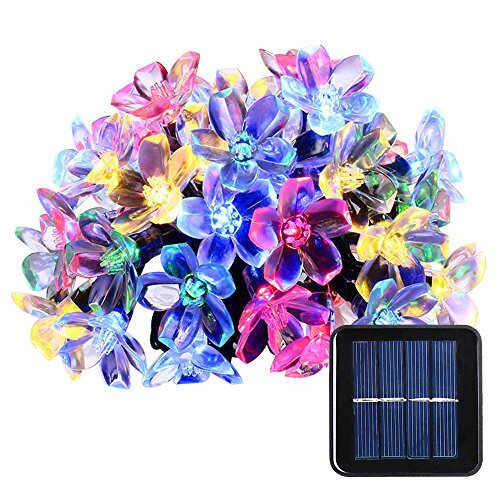 I hope this list of the best solar string lights was helpful.